After two straight years of watching 100 high school football games in person, I blew by that number with ease. This year I had several big weekends around the country and had reached 100 in time for a Thursday night game in Baltimore in Week 15. By the end of the season, I had witnessed in person 127 high school football games. My girlfriend was with me for 114 of them. Of the games I saw, 3 games were 8-man (Iowa and Nebraska) and 1 was 9-man (Minnesota). Now, as I’ve done in the past, this is a breakdown of my travels. This year I had seen games in 15 different states. I saw games on 19 different weekends. My first game of the year was on August 21st in Chattanooga, Tennessee and the last was on December 27th in Boca Raton, Florida. I watched games in 53 different venues in 52 different cities in 15 different states. I saw 240 different teams from 17 different states play. Of the 127 games I saw, 124 were complete games, while three games were finishes that I saw after another game ended (once), that was a postponement that had already played a quarter (once) or I was sick and arrived around halftime (once). In games I’ve attended, there was 6,471 points scored for an average of 50.95 points per game (1.18/game more than last year). The cumulative score was 4,499 to 1,972 for an average score of 35.43-15.53 compared to the 34.25-15.52. In total there were 12 shutouts and the most points scored was 70 by Cameron Yoe (as opposed to 12 shutouts and 63 was the high last year). No games were called early due to weather, though two games were unable to be attended because of the massive blizzard that hit the Buffalo area. Most games witnessed in one week was 16 in Week 13 (Thursday through Tuesday). Eleven in Week 15. Also, 10 in Week 2 and Week 17. Nine games in Week 14. And seven in Week 0 and Week 1. Saw 233 different teams once. Saw Greenville (PA) eight times. Saw Cleveland Heights (OH) three times. Saw Westmont Hilltop (PA), Henninger (NY), Sharon (PA), West Middlesex (PA) and Farrell (PA) twice each. Each year I list my opinion of the quality of the teams, fan support, state organization, etc for the states I’ve seen games for in person. As has been the case for several years and not likely to change, Texas is #1. For the first time in years, I did not see the OHSAA Championships in Ohio and instead opted for games in Maryland (first championship game there) and the NJSIAA Championships in New Jersey. There is no doubt that Texas has the best fan support. (1) This is an undeniable fact. You don’t realize how big the crowds are in Texas for the state championships unless you’re sitting in AT&T Stadium and get to experience them. I agree that the reported numbers are probably inflated. But, you can’t inflate a game to 52,000 or more unless it’s already fairly close. The big surprise is the small schools tend to draw what or more than what Ohio championships at the highest levels pull in. There’s more travel, and the games are on TV more accessible than Ohio and yet they still have huge crowds. (2) Is flagging lately, but in the regular season games I’ve attended the crowds are good. And Hudson-Mentor for the regular season was a huge crowd for the stadium. 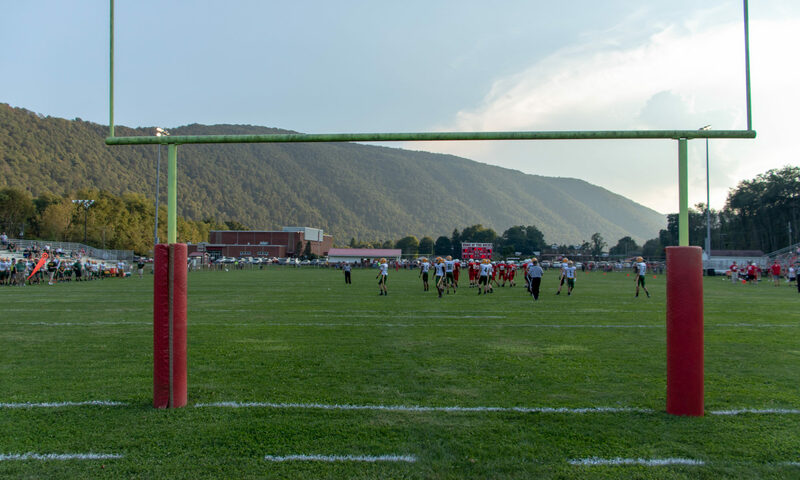 (3) Pensylvania is up there, though the declining more rural areas are seeing dwindling stadiums. (4) Illinois really surprised me for their championships. The public schools really came out well. (5) Maryland was one game for 3A on Thursday and had a decent crowd for how much trouble it was to even reach the stadium. (6) Florida was for the post-playoff bowl games, but the crowds were anemic for two schools from Miami and another from Jacksonville. This was a made-for-TV setup that gives them the benefit of the doubt. (7) Kentucky has surprisingly good support and the LOVE to do these doubleheader bowl games to start the season. That’s a big reason for them to be up where they are. (8) Minnesota has good crowds for games held outdoors in the bitter cold. (9) Nebraska has their games on the eastern corner and still drew decent from the western areas such as Hemingford. The biggest level was a surprise with Creighton Prep/Omaha North. (10) The Missouri game is an anomoly. It’s a post-season Thanksgiving Day game I attended, yet the crowd was said to be in the past to be beyond standing-room-only. Yet, the crowd was hardly anything. I’ve seen several Missouri games before, so know this wasn’t the norm. (11) Tennessee’s numbers are based entirely on the “Kickoff Classic” at UT-Chattanooga between McCallie (a private school) and Cleveland (public school) that are both high level teams. The fan support wasn’t that great. Though the game was played in the late August heat of southeast Tennessee. (12) New Jersey has spotty fan support. But what is there is fairly impressive. It’s not great. But, it’s not Massachusetts. (13) Iowa has an indoor stadium and games aired online and their crowds aren’t that impressive. (14) New York has decent fan support in the suruban teams such as Sweet Home, Cheektowaga, Liverpool, Victor, Pittsford, etc. And lastly, (15) Massachusetts. South Hadley was a northern suburb of Springfield. It’s a big school and the team wasn’t abysmal but wasn’t that great. However, everything about the game was low-rent. The ‘stadium’ consisted of one stand of about six rows to hold about 300 fans. The first row is at ground level. A growing over dirt track surrounds the field and there’s nothing on the west side of the stadium except an elevated pressbox/coaches box. A small hut to the north is for the concessions. The field is unkept. The band consisted of just a handful of students. The game was definitely an overlooked aspect of the school. The two hundred or so that were on hand for the game, including the Amherst fans was pathetic. I used to consider Ohio fairly high, but not recently. Texas has great fundamentals with the ‘speed’ of the spread offense teams. Ohio is much more about fundamentals and brute force styles though it’s been shifting for a while. Florida was good, but I don’t consider Utah football highly, and Bingham made a game of it against Booker T. Washington. In the middle is Utah at 9. The lower echelon is rather predictable. I’m ot sure why Iowa isn’t that big considering Minnesota, Missouri, and Illinois are fairly good. It was a tough call where to put New York. But, I give them the edge to New York. Massachusetts was a no-brainer for last. I wasn’t impressed at all. Texas wins again for good reason. Amazing stadium, crowd, number of games, etc. (2) just had a great feel and setup for being outdoors. I liked that you could leave and reenter. Games were well run. Minnesota would be higher again if they were indoors like in the past. But, even outdoors it was good. Iowa, despite the level of play, gets high marks because of the indoor field. New Jersey counts for the amazing MetLife Stadium and ten games over three days. Through the middle of the list are the New York sectional finals and the Kickoff Classic. Intermingled are the Kentucky Bowls and the Nebraska final. Biggest knock against Nebraska is the parking situation for a Monday and Tuesday game days are pathetic. Parking is no where near by. You must buy tickets for each game (though only $7 unlike Ohio). However, the stadium is right by downtown and you can walk to many different places between games. The bowls did well, but weren’t special this year. Bad game matchups mostly. The entire first week was pathetic, matchup-wise. Near the bottom was the PIAA State Finals. I generally never rank it high. Due to small attendance, vacuous stadium, old stadium, sitting far from the sidelines, etc. However, there’s two things less. First is the last Kentucky Bowl. This was postponed and though you got in free and the parking was free, you sat in a stadium facing toward the sun. And lastly, is the State Champions Bowl Series. Though I would go back again, it is only because it’s the only games that weekend. The series is ‘made for TV’ and the crowds were abysmal. Luckily, the stadium was near Fort Lauderdale, and it wasn’t much out of the way from where I was going for Christmas anyways. This is a tough decisions. I started with 24 games and had to whittle it down to the ten best. They’re listed in chronological order. A lot of good games were removed from this list. First up in Week 1 was the Lakota West-Loveland game that ended with Loveland holding the ball as the clock expired attempting to get a winning score. Greenville-Hickory is more a personal decision. It’s big for Greenville. I almost kept the Greenville-Reynolds game that finished 14-7, but the Hickory game had much more meaning. The two Sharon games also got the axe. Next up is the first OT game of the year. Holdingford trailed 6-0 late and scored on the last play of the game to tie it. The PAT was no good, and it went to double overtime. Wilmington-Williamsville ended with Wilmington converting a long field goal to win the game. 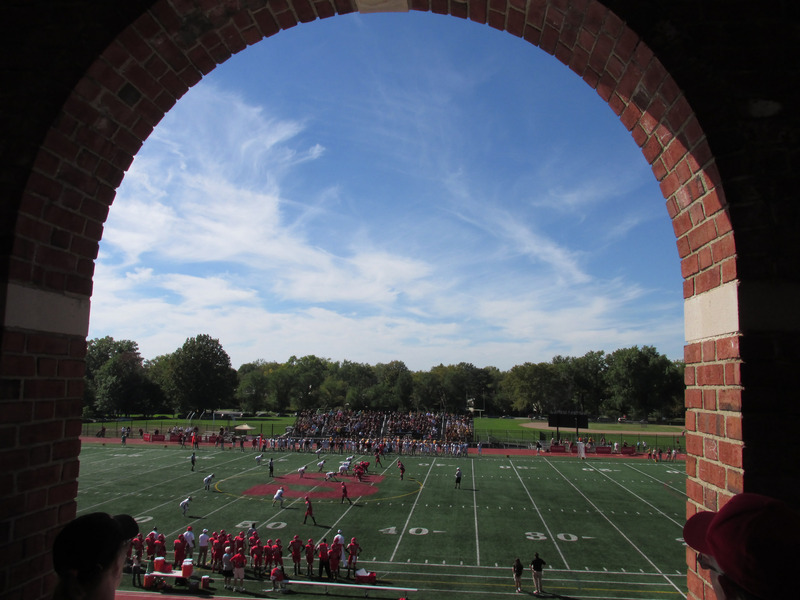 And the next day, Adlai Stevenson had a 31-6 lead over Homewood-Flossmoor before H-F made a valiant comeback attempt. However, it went down to the wire with H-F converting on several onside kicks and were driving deep with seconds left before fumbling it away inside the 5 yard line. Next up was the PIAA Class 4A game had another ‘near comeback’ by Pine-Richland. A great game that just was 26-yards shy of a potential tying touchdown. Texas was a great weekend and four of the ten games qualifies easily for this list. First up is the 2OT game between Navasota and Argyle. The night cap was Ennis-Cedar Park. Cedar Park went for a FG to make it a seven point game before Ennis scored with time running out to take the 38-35 lead and the victory. Aledo-Temple was a similar story to St. Joseph’s Prep-Pine-Richland. A deficit and a valiant comeback. Though Temple had the touchdown to take the lead, Aledo put them away late in the game with a touchdown and their defense. And lastly was the Cedar Hills-Katy game. I’ll remember this game simply for two reasons: I do like Cedar Hill, and this was a tough back-and-forth matchup. There wasn’t too many games that I’d qualify for ‘worst’ games. In fact, out of the entire season, I only narrowed down 7 of 127 that were ‘bad’ games. However, the entire first weekend could’ve qualified but though the games were lopsided, the ‘bowl’ game structure still keeps things lively. So, the first game of the year gets on the list. It was a shutout, and Cleveland (TN) never really did much the entire game. Next up was the Week 2 matchup with Canastota (NY) and Little Falls (NY) that I arrived late to. The crowds were small, the stadium was hot (for naming it the Carrier Dome, there’s no air-conditioning). Out of both Pittsburgh City League games I saw on Thursday nights, the worst of the two was the Allderdice-Westinghouse game. Simply because Westinghouse is such a small school compared to Allderdice. And lastly, were the two final games of the regular season on the same day. Of all the games I chose to go to, I picked some bad ones. First, was Farrell v. United in Farrell. A few years ago, I saw the end of Farrell v. Redbank Valley and decided due to the Saturday afternoon game to finally catch a full game there. However, United may have been there, they didn’t show up to play. And due to sticking around the Sharon area, the best option for a night game was in Poland between Youngstown Christian and Gilmour Academy. It was freezing that night. Cold wet air, horribly small crowd for either team. And entirely one-sided. Luckily, the playoffs really picked up from there. For the fifth straight year, I’m not even going to try and rank the teams myself. With 240 different teams in person, I’m going to go with calpreps once again. As I saw all U.S. based teams, I don’t have a need for the CFC Canadian ranking as I did last year. After the rankings, I’ll give some comments on a few of them. At the top, I felt Allen was the better team. Though my judgement may be tainted by seeing Allen in the past three largest Texas championships and their overall dominance. I’m surprsed Cedar Hill (TX) was as high as they were. Top ten was a bit of shock. As for the bottom of the barrel, Whitney Young of Cleveland, Ohio was one of the worst teams I watched. They lost badly to #12576 East Tech before a handful of fans. Also, United, as well, was clearly bad. It surprised me that I didn’t have more teams in the 14,000 or 15,000 range. Unlike previously, I listed teams generally by Maxpreps/FHSAA style naming conventions instead of the OHSAA/UIL style. Though I modified a few because I’m not a huge fan of redundancy of the name of the city is the first word of the school name. This was the third straight year of seeing primarily Ohio or Pennsylvania games. Only one game was this season was work related. I was in Springfield, Massachusetts on a Wednesday during the season and found a Thursday night game in South Hadley, just north of town. So, I stayed for another day to see the game. Otherwise, all the games were entirely up to me to decide to attend. Until early this year, I was still legally married. In 2013, I saw my games entirely by myself. Prior to that my ex-wife would attend a few games with me. However, I met my girlfriend in August and she’s traveled with me throughout the season. Of the 127 games I’ve attended, she has attended 114 games. Because she’s used some of her money throughout the season, the financial totals aren’t the total for both of us. For 2014, I documented my travels for all 127 high school football games and 7 NFL games (Browns season ticket holder, though I missed Browns-Colts). Between August 21 and December 27, just for football games we drove a grand total of 21,190 miles for games. My girlfriend drove a few times, however I was the one regularly behind the wheel. Three different vehicles were used this season, so keeping track of gas was next to impossible unless I purchased it myself. Not counting the cost of my Browns season tickets, I spent $9,997.14 to attend the 127 high school games and 7 Browns games (and the Boca Raton Bowl). The Browns season tickets cost an additional $1100 for a grand total of $11,097.14. Last year for 100 games and 9 Browns games I spent a total of $6,226.94, or an additional $4870.20 for 27 extra high school games, more travel and hotels, and additional food and tickets for a second person to be with me. This year I hadn’t planned on a specific number of games. I just simply planned six major trips. The first was to Kentucky and Tennessee for Week 1. Week 2 was a trip to Syracuse, New York. Week 11 was a trip to Orchard Park, Rochester, and Syracuse, New York for games. Week 13 and 14 was a trip through the midwest in Iowa, Minnesota, Nebraska, Missouri, and Illinois for 25 total games. A week 15 trip to Maryland and New Jersey for 11 games. And a Week 17 and Week 18 trip to Texas and south Florida for a total of 13 more games. Four years ago, I attended 55 games. I attended 73 in 2011. I attended 100 in 2012 and another 100 in 2013. This year I attended 127 for a total of 400 in 4 years and 455 in 5 years. I’ve attended high school games in 31 states now. Pennsylvania, Ohio, West Virginia, Maryland, New York, New Jersey, Massachusetts, Michigan, Indiana, Illinois, Wisconsin, Minnesota, Iowa, Missouri, Kentucky, Tennessee, North Carolina, South Carolina, Georgia, Florida, MIssissippi, Texas, Oklahoma, Nebraska, North Dakota, Montana, Wyoming, Colorado, New Mexico, Utah, and California. I’ve also attended other sporting events in Washington (arena football), Nevada (arena football), Arizona (arena football & minor league baseball), Kansas (major league soccer), Louisiana (arena football & minor league baseball), and Connecticut (minor league baseball). So, 37 of 50 states I’ve been to for some type of sporting event. Now, High School Football wasn’t the only games I’ve attended this year. I also attended three Youngstown Phantoms junior hockey games, two college basketball games, one college soccer game, one high school basketball game, one high school junior varsity basketball game, three junior varsity football games, one minor league baseball game (in Tucson, Arizona), two Major League Baseball games (in Cincinnati, Ohio and Atlanta, Georgia), one Major League Soccer Game (in Houston, Texas), and one college football Bowl game (Boca Raton Bowl in Boca Raton, Florida). During this years travels, I’ve continued my quest to visit every county in the United States. Of the 3,141 total, I’ve been to all but 295 of them and 17 independent cities in Virginia. This year I’ve clinched Tennessee (8/22), Illinois (11/19), Missouri (11/26), New Jersey (12/5), Iowa (12/16), Alabama (12/22), and South Carolina (12/30). I also finished off West Virginia on the way home from Florida on 1/2/15 for my 33rd state. This upcoming season, I’ve already started planning other venues and states to see games. I’m hoping to see games in the Northeast. Also, possibly Mississippi and Alabama. For the first game of the season, I’m planning a game at Tennessee High School in Bristol, Tennessee. The stadium is one of the more unique venues and one I’m looking forward to seeing. It’s known as the “Stone Castle” because the entire compound the stadium sits appears to be a castle. A simply google search for “Bristol Municipal Stadium” or “Stone Castle, Bristol, Tennessee” will bring up many pictures of the field, stadium, and surrounding wall. Over the course of the off-season, I’ll upload photos from the games to my flickr account and some more videos to my Youtube channel. Hope you all have enjoyed reading my posts out and about this country about high school football from all corners.